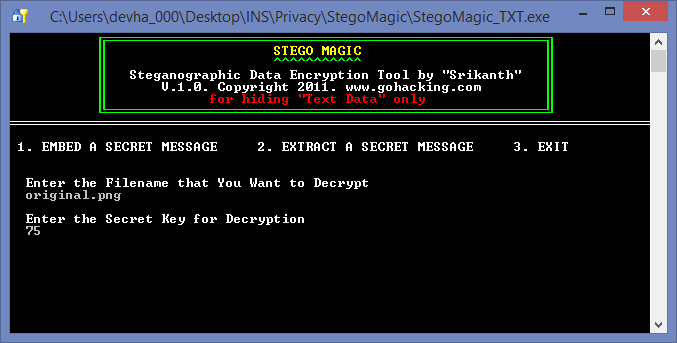 Step 1: Begin with encryption. 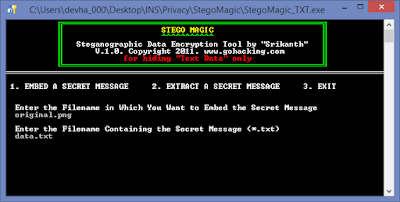 Step 2: Select image to process. Step 3: Select data to hide. Step 4: Data is hidden. Save the key. 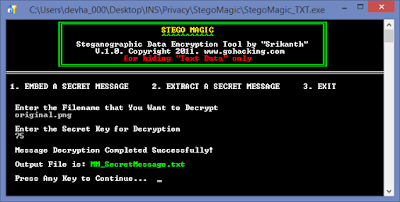 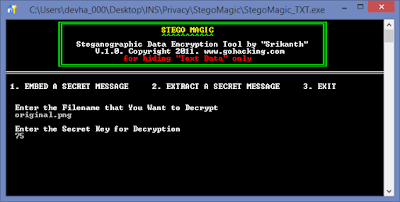 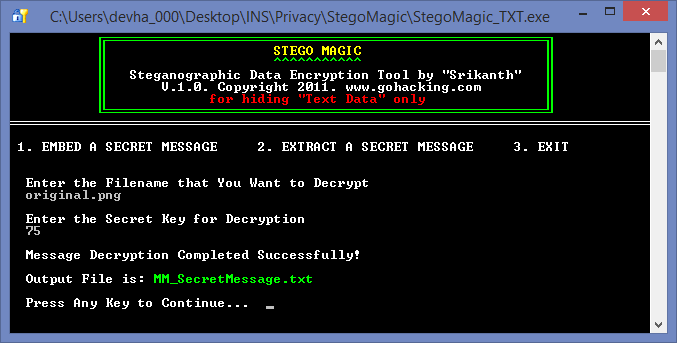 Step 5: Start decoding and select the file to decode. 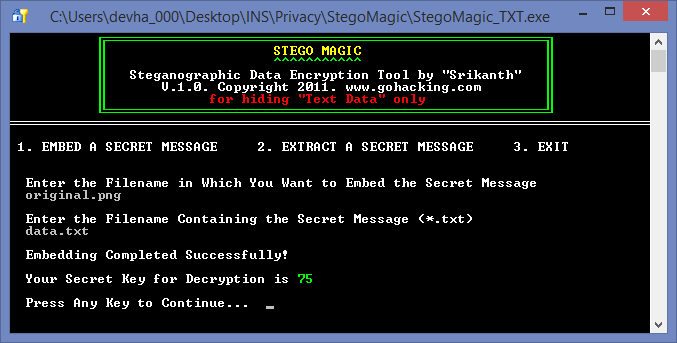 Step 6: Enter the password (decryption key). Step 7: Output is saved in MM_SecretMessage.txt file.